Mary Hunter withdrew her commitment as a KFMC board member; do to family and business priorities. Hunter confirmed that Grand Café will be a 08 vendor. Joanna S. Hallstrom announced that she will be taking maternity leave in August and possibly not returning to KFNA. 1. Whether or not to join the MN Farmers’ Market Association: The committee decided to hold on becoming a member of MFMA ($60) this year but to invest funds in sending the new market coordinator to an MFMA conference if it was found to be beneficial. MFMA published The Farmers’ Market Manual for Minnesota ($55). Hallstrom will try to find a copy that the committee can review before decides to purchase a copy. After discussion the committee felt that MFMA membership, although beneficial (i.e. included in an on line market listing etc) is not a necessity or priority to this year. Membership will be revisited for 09. Hallstrom will add a service vendor category to the vendor application and include language that communicates preference to food and art vendors. In the future the committee will also discuss how “local” art and services are defined. The committee did not feel that that the market had room for two Chiropractic services vending at the same time. Thus Hallstrom will contact LifeForce (05, 06, 07) vendor and give them preference on dates they would like to vend. Nokomis Chiropractic will also be given an application and allowed to vend on the dates that are not selected by LifeForce. In the future dates will be awarded to service vendors on a first come first serve basis. Linnes-Robinson presented a summary of the market’s 07 income and expenses. Total expenses were $25,913.59. KFNA provided $964.09 in gap funding. $7,830 was spent on KFNA staff administrative costs. $9,594.25 was spent of the Market Coordinator position and KFNA staff on site labor. 73% of the total market cost went to labor. There will be a number of capital expenses that the market will not incur next year (i.e. $16,000.00 for the installation of electricity at the market site). The market will need to purchase two new tents, replace/repair a broken table and possible add more tables/chairs to the market. For 2008 the market has $11,000 in NRP funds besides in-kind staff time, office supplies, rent etc. KFNA. The committee discussed the pay rate and number of hours that the 08 market will need and could sustain. Brauer proposed designating $13K toward the position at $15/hour (determined to be in line with pay for similar market positions) for 800 hours a year. The 800 hours would be flexible with an increase monthly work load during the market operation season. The committee will continue discussing this option and work on rewriting the market coordinator position description via Google groups. The committee discussed posting the job description as soon as the first week in February and hiring in time for the March vendor meeting. Hallstrom will post the KFNA organizational chart to help clarify this item. Pampuch suggested that the committee oversee the MC interview, hiring and the work of the MC as well as set the market budget – all with the approval by the KFNA board. The MC would be given the power to run the market within the approved budget. Jeff Berg presented a year of marketing/fundraising event ideas for the market. Ideas include a Kingfield Farmers’ Market Hibernation Hiatus Weekend packed full of community events; a harvest hoedown, wine taking/education at Corner Table; Coffee Crawl; Leonardo’s Family Planting Party(build your own planter); Sled Race contests; Mayday Baskets; Handy-Man Raffle. Berg will post a full description of the events on Google groups. Berg presented ideas for boosting the market e-newsletter. Ideas include updating the layout, highlighting a vendor weekly, including a recipe and master Gardner tip. 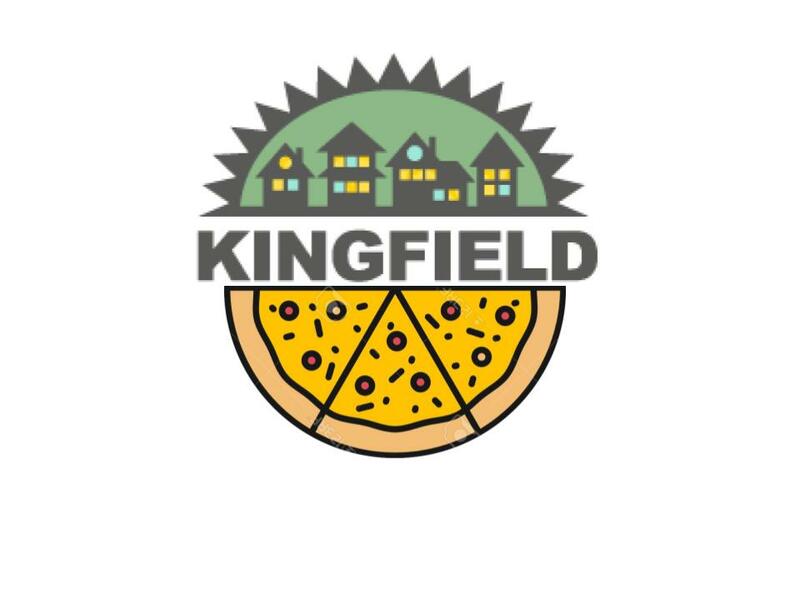 Berg also suggested writing a KFNA newsletter article that showcases everything great about Kingfield as a whole – demonstrating how the community is made up of a network of businesses, activities, organizations . . . that can disappear if they are not supported. Brauer volunteered to write this article for the next Kingfield Newsletter. The committee will discuss on line which marketing ideas /events could be carried out this year and which ones should be built into next year as the market builds capacity. There was general discussion about grant writing, the need for a boiler plate grant application that can be reworked for each grant application, staff time for grant writing etc. There was also brief discussion about market model research that will be continued at the next meeting. Mary Hunter submitted a vendor comment shortly before the meeting to be considered when evaluating whether or not to hold bake-offs again in 08. Hunter stated that Grand Café broke even on their baked goods during bake-off events.